We try to visit Yosemite National Park at least once a year. 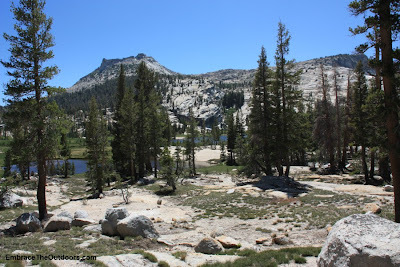 This year we camped at Lower Pines Campground again and did some hiking as well as some trail running. On our second day at the park we made the hour plus drive up to the high country to do some hiking. 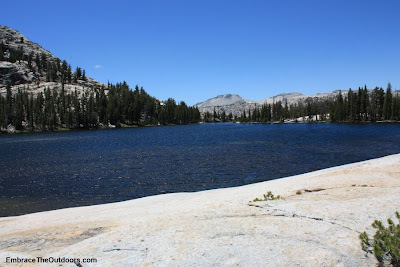 We've done a couple of hikes up in the Tuolumne Meadows area but this was our first time hiking to Cathedral Lakes. This hike is eight miles long to visit both lakes with an elevation gain of 1,040 feet. The trail head is off of Tioga Pass. There aren't any designated parking lot so cars just park on either side of the road, which is what we did. 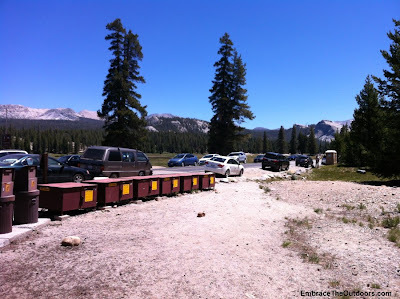 There were a couple of portapotties and bear lockers at the trail head but no running water so be prepared. 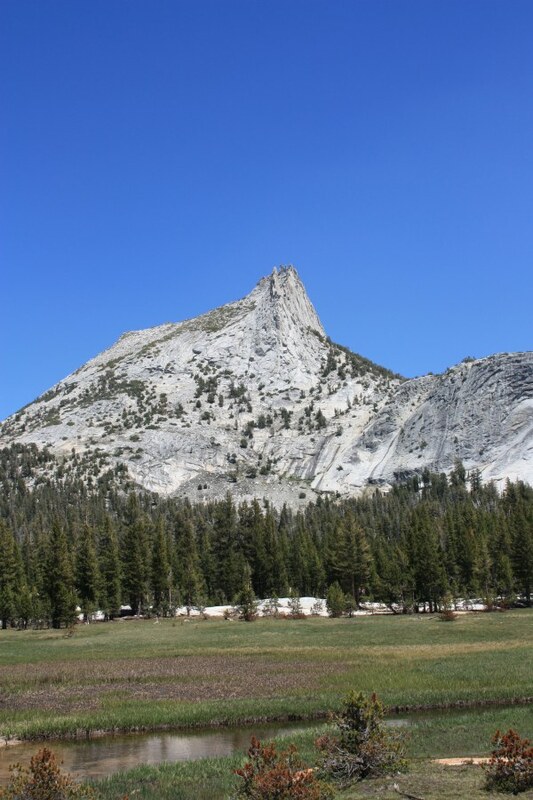 Hiking in Yosemite's high country is always beautiful (hiking anywhere in Yosemite is beautiful) but one thing to keep in mind is the elevation at which you are hiking and making sure you give yourself enough time to acclimate to it prior. 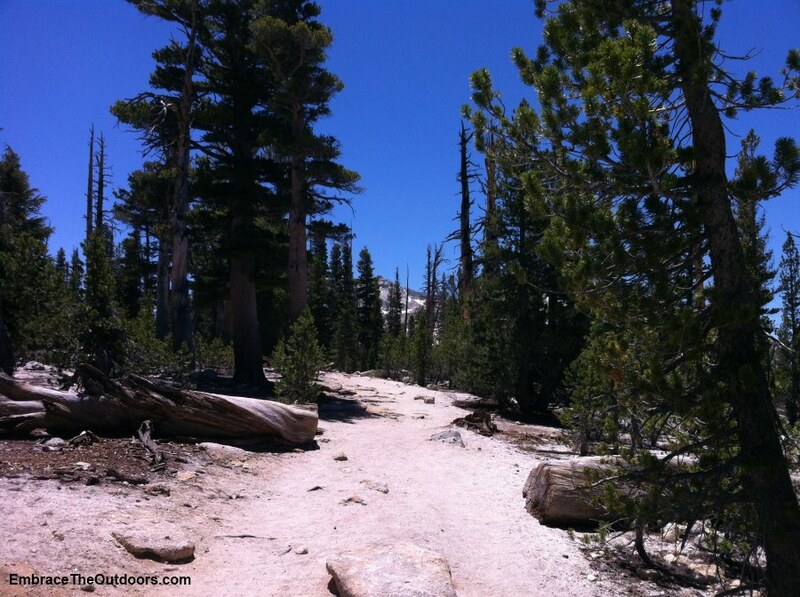 The trail head for this hike is at around 8,600 feet. With our packs and plenty of water we headed out on the trail. It was mid morning by this time and it was a little cold so we were glad we hadn't started any earlier. The trail was fairly flat for the beginning then it climbed for about two miles. There were some switchbacks and some fairly rocky and uneven areas. We definitely felt short of breath early on from the elevation. 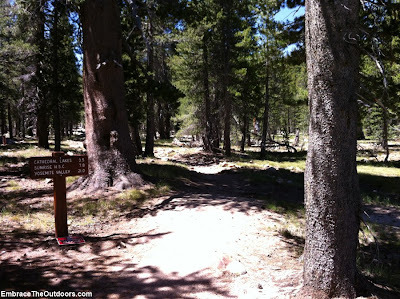 Most of the trail was exposed but there were a few shaded areas, usually by some creeks we had to cross. There were several people on the trail including lots of backpackers since this trail is part of the John Muir trail and leads all the way down to Yosemite Valley 21 miles away. It connects with other trails as well. 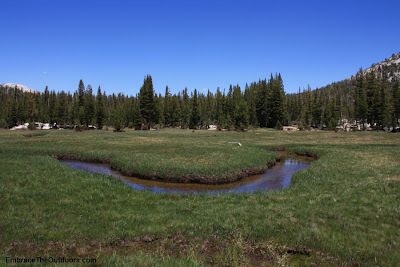 After about three miles we got to the turnoff for Lower Cathedral Lake. It was on this trail that we got some good views of Cathedral Peak. The trail became sandy and soon it opened up into a great big open space and we were in a meadow. More great views of the peak here. Through the meadow and after some rock scrambling we were right at the edge of the lake. Although it had gotten warmer it was windy here and had to put some layers back on that we had shed along the way. With the lake in view we took a break before heading back. Once back at the junction to the main trail we took the main trail to Upper Cathedral Lake. 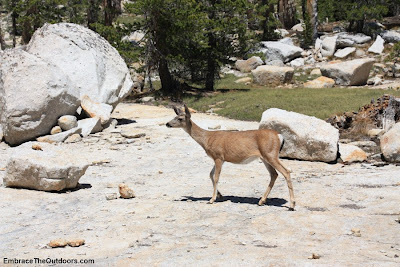 We were climbing again when we heard some rustling and saw a couple of deer. A trip to Yosemite is not complete until we see some deer. We could see Cathedral Peak from here too. We couldn't get too close to Upper Cathedral Lake because there was some trail maintenance going on so we took some pictures from afar and headed back. We retraced our steps back to the main trail and made our way back, glad that it was mostly downhill. There were less people on the trail now but still some were heading out. Four hours and 40 minutes after we started our hike we were back at our car. 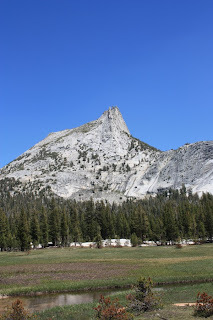 It was a short drive to the Tuolumne Meadows Grill so we headed there for early dinner, knowing that it would be over an hour back to the valley floor. It was a good way to end the day. If you are spending some time in Yosemite's high country this hike is a great one to include on your trip.